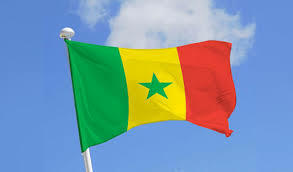 Senegal's Constitutional Court on Monday authorised five candidates, including outgoing head of state Macky Sall, to contest presidential elections next month but blocked two prominent opposition figures. The seven-member court barred, as expected, former Dakar mayor Khalifa Sall and ex-minister Karim Wade because of convictions for misuse of funds. The four other candidates in the February 24 vote will be a rising opposition MP, Ousmane Sonko; former prime minister Idrissa Seck; Madicke Niang, an associate of former president Abdoulaye Wade; and El Hadji Sall, of the Unity and Assembly Party (PUR). The list published on Monday was provisional, and candidates have until January 20 to file any appeal.